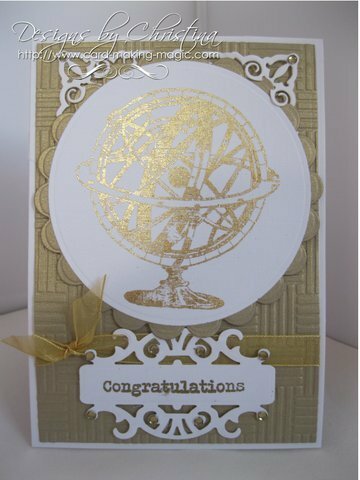 Gilding Flakes and Stamps can help you to add that touch of luxury to your card creations ... and it is not hard to do. The flakes come in many colours and mixes to achieve any kind of look from Gold to Copper ... and everything in between. And there are lots of different ways to use them. The gilding flakes come in small tightly compressed pots, they feel light and there doesn't seem to be much in there ... until you open it up. Before you open the pot have a larger container ready to decant the flakes into, because there is no way you will ever get them back into the small container you have just opened. 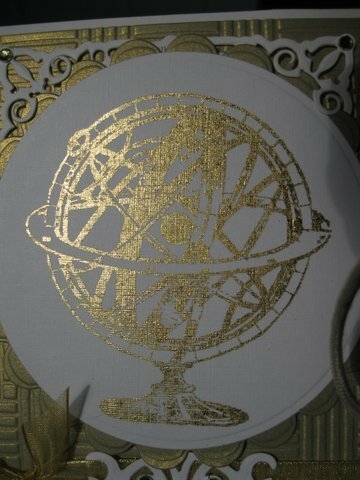 You will also need some Cut 'n dry to apply the glue and some glue suitable for Gilding flakes. Or you can buy it as a whole kit ... but you will need to shop around for the best prices. 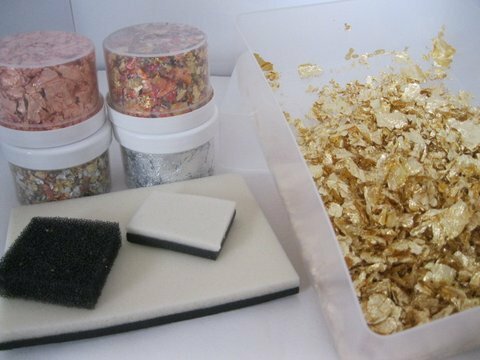 Gilding flakes come in pots and there are many different colour mixes from reds, greens and blues to give you some spectacular results. Decanting the flakes from their small pot into a much larger container and leaving them at room temperature allows them to swell. This will give you so much more than you thought you had. And because such a small amount is used each time they will last you for quite some time. They are also very static so take care as you remove the lid as the flakes will stick everywhere. Don't use them near an open window and for goodness sake don't sneeze near them !!! You'll be sorry ... as you pick the flakes off the walls. In the video Gilding Flakes Tutorial I showed you one way of using these lovely flakes with a double sided adhesive sheet. But in this video we are going to look at using them with any of the stamps that you may already have in your "Stash"
For this card I have used the Gold flakes mixture. The stamp is one that I got for free from a magazine and it is a very useful image especially for male cards. The card has been finished with some gold ribbon. Well just a bit has been added to the card in the shape of little gemstones.